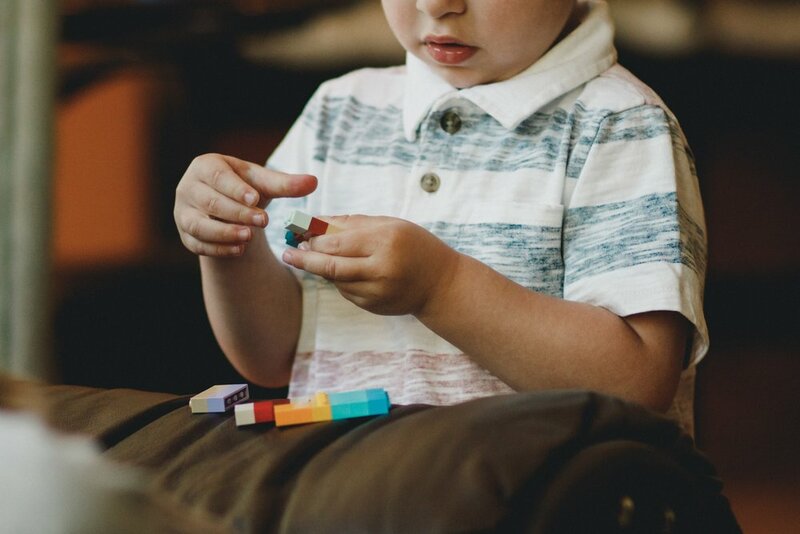 In honour of ADHD month, we are moving away from healthy brains for the moment and having a closer look at Attention Deficit Hyperactivity Disorder or as it's better known ADHD. In this article we will explore the disorder, what cause's it, symptoms associated with it as well as the treatment options available. Research just published in the Journal of Abnormal Child Psychology has confirmed that children with ADHD are not being deliberately difficult or naughty if they fidget or squirm when doing schoolwork. Parents are often exacerbated when their children with ADHD cannot sit still and concentrate when trying to do their homework, but can sit still as a statue when watching movies or playing video games. Researchers from The University of Central Florida have shown that some children with ADHD move around more when they are using their brain’s executive functions, particularly “working memory” which is the system we use for temporarily storing and managing information, critically important for tasks such as learning, reasoning and comprehension. When children are watching movies or playing video games they are not having to think so much so they stay still, but when the work becomes harder they move around to help “switch on” their brains and stay alert. In other words some children with ADHD are automatically trying to get their brains working better when doing difficult schoolwork by fidgeting and squirming around. This research follows on an earlier study conducted by the same team in 2015 which showed that children with ADHD should be allowed to move around when trying to concentrate. ADHD is the most common mental health problem affecting children, affecting 300,000 young people in Australia. ADHD is often missed as people get older and evidence indicates that there are about 665,000 adults in Australia with ADHD. That is a total of almost 1 million people in Australia. Predominately Inattentive Subtype – Symptoms can include difficulty organising and completing tasks, poor time management, difficulty concentrating, making simple mistakes, getting bored easily, forgetting things and not appearing to listen properly. Predominately Hyperactive / Impulsive Subtype – Symptoms can include restlessness, moving and talking excessively, inability to relax, feeling nervous or on edge most of the time, difficulty with focus and attention, difficulty sleeping. Mixed Subtype – A combination of Inattentive, Hyperactive and Impulsive symptoms. Research shows that ADHD has a very strong genetic basis. So when a child is diagnosed with ADHD there is a good chance that at least one of the parents will also have it as well. It is not yet completely clear what causes ADHD but evidence continues to grow demonstrating that there appear to be problems with the function of key areas of the brain involved with attention and impulse-control. The clinical diagnosis of ADHD is generally made by a specialist paediatrician or child psychiatrist after referral from a GP. Getting a diagnosis of ADHD is often an enormous source of relief. It helps you understand that you or your child are not to blame. There is no doubt that medication is most likely to provide relief from the symptoms of ADHD for most people in the short to medium term. Research shows that about 70% of people with ADHD will respond to medication, although side-effects are common with loss of appetite, weight loss and sleeping difficulties affecting up to 50% of people1,2. Many people are not aware that major research published in 2009 concluded that there was no evidence to support medication treatment beyond 2 years3. Further major research4 published in 2013 and most recently earlier this year5 has also questioned the long-term effectiveness of medication treatment, calling for the development of more effective treatments for ADHD. In the past, treatment for ADHD was usually limited to medication, and in many cases this will get the best short to medium-term results. However, now it is generally accepted that the most effective solution for ADHD should involve a range of interventions. At The Perth Brain Centre we focus primarily on providing Neurofeedback Therapy for ADHD. Neurofeedback was recognised by The American Academy of Paediatrics to be an effective treatment for ADHD in 2013 and was featured in Dr. Norman Doidge’s book “The Brain’s Way of Healing”, the sequel to his international best-selling book “The Brain That Changes Itself.” Numerous studies over the past 10 years have shown that Neurofeedback can help improve attention, hyperactivity and impulsivity in people with ADHD, including major research6 published in 2013 that reviewed the results from lots of previous studies (known as a meta-analysis of randomised controlled trials). Neurofeedback is a brain-based treatment that uses a sophisticated brain-computer interface to “strengthen” or rewire the brain, by training brainwaves, the tiny electrical signals produced by the brain. Neurofeedback is suitable for people of almost all ages. Patients sit comfortably and relax during training whilst sensors precisely detect and measure brainwave activity. This information is analysed in real-time and presented as audio and visual feedback which is used to “strengthen” and retrain the brain. Changing the brain takes time but people can start to notice improvements within a few weeks. Bourgeois, F. et. al. (2014). Premarket Safety and Efficacy Studies for ADHD Medications in Children. Plus One: 9, 7. Molina, B. S et al. (2009). The MTA at 8 Years: Prospective Follow-Up of Children Treated for Combined Type ADHD in a Multisite Study. Riddle, M. A. et al (2014). The Preschool Attention-Deficit/Hyperactivity Disorder Treatment Study (PATS) 6-Year Follow-up. J Am Acad Child Adolesc Psychiatry. Mar; 52(3):264-278.e2. Swanson, J M. at al. (2017). Young adult outcomes in the follow-up of the multi-modal treatment study of attention-deficit/hyperactivity disorder: symptom persistence, source discrepancy, and height suppression. Journal Child Psychol and Psychiatry. 58:6, pp 663-678. Micoulaud-Franchi, J. et al. (2013). EEG NFB treatments in children with ADHD: an updated meta-analysis of RCTS. Front Human Neurosci Nov (8) Art 906.